Books I figured would be worth the money and bought them myself. This is the account of Dave Pelzer’s life growing up with his alcoholic mother’s constant abuse. When I first got this I didn’t realize it was part of a trilogy. 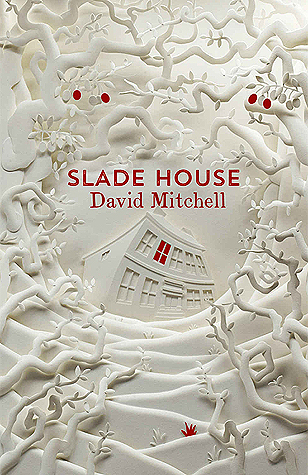 It is difficult to assess it as a solo book, because I am sure there is much more to Dave’s story and since it is less than 200 pages I am unsure why it wasn’t all put together. 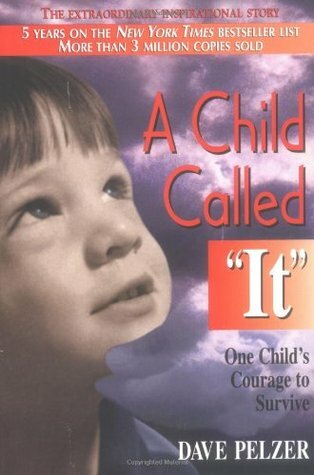 It is a highly disturbing book and it is so hard to accept that this was part of the day-to-day life of this boy, as unfortunately so many others. This wasn’t just abuse and neglect, it was blatant torture. For its message, because it is an account that needs to be told, it should be out there and people need to be sensitized to it. However, I have to say that, as a story, I was disappointed because it felt disjointed. There were lots of gaps when something must have changed to make David’s parents change as well and we’re left in the dark to that, as well as the changes in David himself. I craved for an account of a moment when David realized he was changing, something to make it more real. While I sympathize that young David must have known why things were happening either either, this is his account as an adult, and I believe it would have helped the reader immensely, not only to connect with him more but also to make us think that it could happen to anyone, and that maybe when we see something behaving a certain way or going through certain experiences we should pay closer attention. So that is the issue I had with this, but as I said, it’s a book that needs to be read. There are certainly many children out there going through this, and they don’t understand what is happening to them, or really believe they are a bad child and deserve what is happening to them. After meeting Lord Henry Wooton, young Dorian Gray engages in a self-destructive lifestyle. 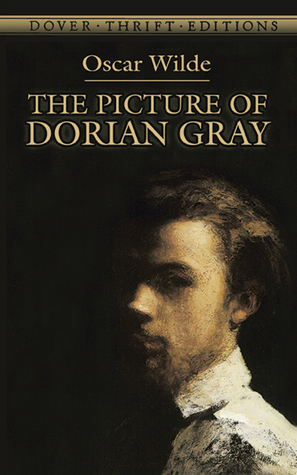 The Picture of Dorian Gray is quite a work of art. From that first chapter I was enraptured, and I found the way our main character and his picture were introduced quite ingenious. The main characters were quite entrancing, particularly Sir Henry Wooton. However, at times I found it too philosophic, particularly after halfway or so. Sir Henry’s lines that I had previously enjoyed became overbearing, and the long flowery descriptions about perfumes, jewels, music and christian artefacts caused my attention to wander, making the book’s meagre 165 pages stretch on and on. Also, I found characters repeatedly telling Sir Henry that he did not really believe what he was saying annoying after a point, and I found myself thinking that there was much talk of sins being committed but not much was shown in that sense. Though I appreciate the level of subtlety throughout the story, I believe further descriptions along those lines would have helped me form a better image of the de-evolution of Dorian Gray. There is so much more to The Picture of Dorian Gray than a magical painting. 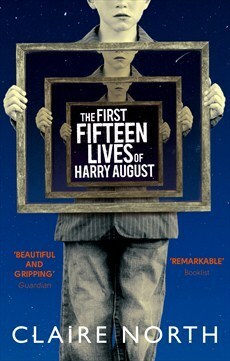 Even though the ending was predictable I still think it is worth reading and contemplating. And it is quite amazing how contemporary this theme is, in a society which obsesses over youth and beauty more and more. 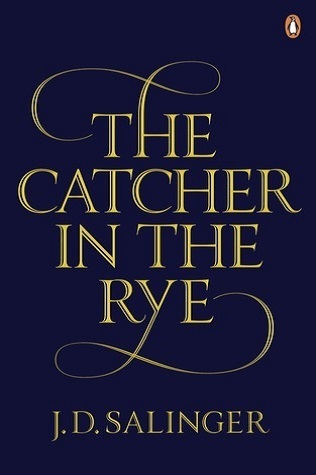 Holden Caulfield takes us through what happens when he gets kicked out of his fourth school. This is a difficult one for me to review. For one, I can definitely see why it is a classic. Holden stays with you, even if he gets on your nerves. He is most certainly the embodiment of teenage angst and there is just so much you can discuss reading this. However, I did find the novel dull and the repetitive nature of the main character’s voice got to me. This has got to be one of the best show-not-tell examples I have seen of a character. His anxious nature shone through every sentence and at times it was quite intense to see how the world around Holden affects him. He acts like he has all the answers but he really is a very confused and lost boy. While we follow Holden trying to avoid facing his parents after the fourth expulsion the fact is nothing much happens; and if his very particular voice was a breath of fresh air in the beginning it didn’t take long for it to become overwhelming. I cannot say I looked forward to picking up the book when I was not reading it. I did think it picked up towards the end and although the ending felt abrupt it was also kind of perfect and after an entire narrative where the main character keeps stating how depressing stuff is I needed it. Overall I think The Catcher in the Rye is great food for thought but it is not for everyone and not for every mood. Julia and her brother Robert are sent to an isolated college in Canada. At first Julia believes the eerie feelings she gets will pass but soon she will understand far more sinister things are happening. Well, this one was a major let down. First of all, when I got this book I had no idea it was the first of a series. I really wanted to read a standalone. 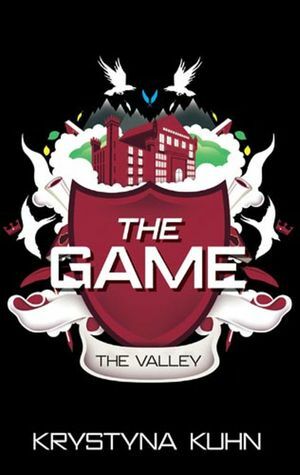 Alas, when I first started reading The Game: The Valley I was faced with the same old YA formula: annoying teenage who throws tantrums and feels like the world is all about her and, well, boys – more specifically insta-love. The one good thing was her brother Robert, whose rare perspectives I did enjoy reading but even that was an incredible disappointment as the author keeps hinting that there is something paranormal going on with him and then it doesn’t, he’s just really smart. I usually don’t mind the author leading me in a completely wrong direction if things are going to be wrapped up nicely but this was not the case. I finished the book wishing I had read a lot more about him, found out what exactly was going on in his preciously little head. That talk about the Valley being evil, for instance. What the heck was up with it? Was anything paranormal actually happening or is the guy just wacko? I never got why Julia and Robert were so disconnected, not only because they were siblings and the only ones who knew each other at the college but also that they obviously shared some secret story together. To me, that means they should be extra close and protective of each other. Instead Julia struck me as such a bad sister and I was actually annoyed that I had to read about her so much. She always came across as so whiny, dramatic and selfish to me. Also, I could not see what the heck she was doing in a college for gifted teenagers, not to mention other characters. 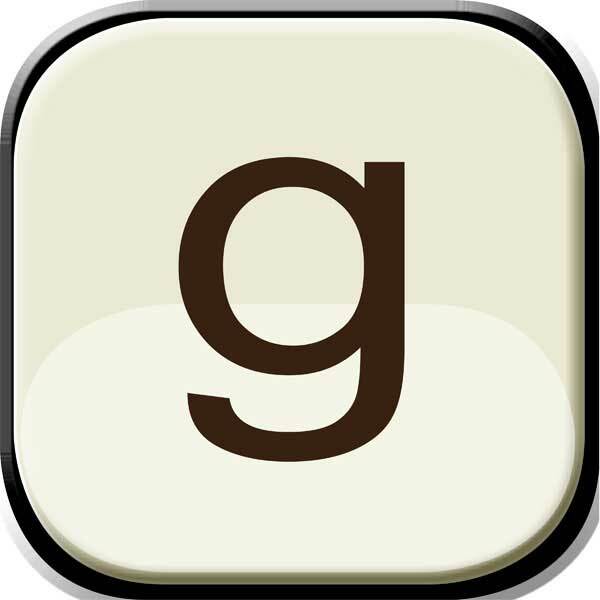 Besides not being able to connect to the main character, another thing that irked me was that the narrative felt very disjointed. 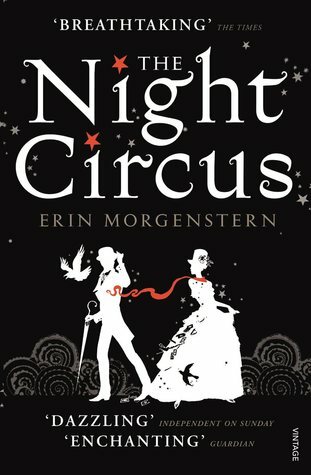 Although the writing was smart, in the way that chapters ending in cliffhangers makes the reader want to keep going, the events did not flow, I always felt like a connecting thread was missing. In the end when things came together it felt like info dumping. Throughout the story there was this constant air of mystery about the college and the Valley where it is located, with hints to weird things that happened there, but nothing really leads anywhere and a lot of silly assumptions are made along the way. Needless to say I will not be reading the sequels but I suppose fans of YA can enjoy this. I still do not recommend it, though.